A rainbow of color can create a bold impact on any page! The teachers at BPC have put together ten fun projects to feature ROYGBIV on your next project. 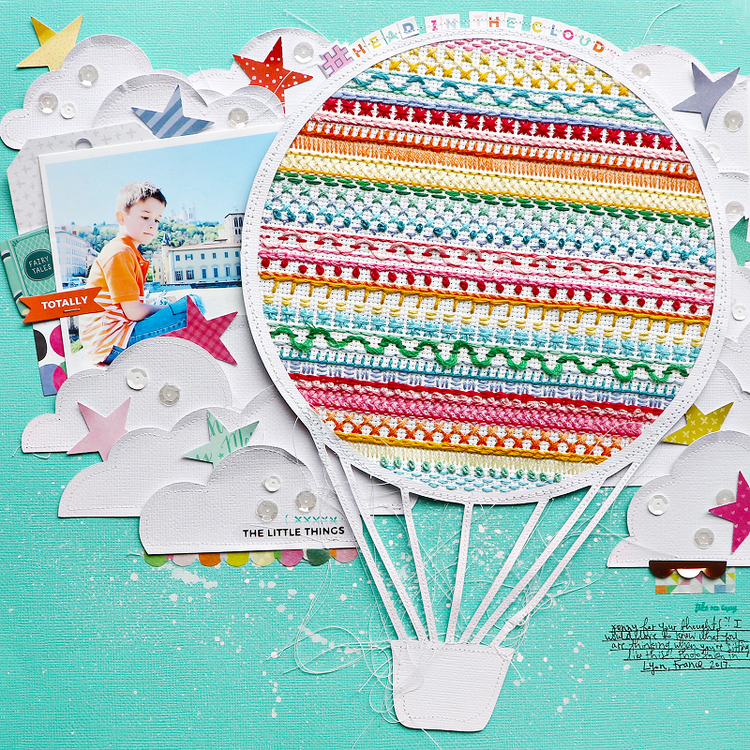 Design a layout around rainbow die-cuts with Kathleen Graumüller in Paperless Pages. Use a color wheel as inspiration with Meghann Andrew in Creative Color. And practice your hand lettering with rainbow colors in Lettering Playground with Jennie Garcia. Add a colorful twist to your next project with all ten classes! Create a rainbow of die-cuts. When I was looking through my stash and sorting through all my die-cuts, I noticed that I had a lot of the same shapes. There were lots of hearts, circles, and flowers (all of which would work for the layout in this lesson). I had so many that I knew I wouldn’t be able to use them up anytime soon—especially the round die-cuts. Besides, sometimes I find it really difficult to only include a few on a page; a single one looks lonely, and two doesn’t really work either, so usually I need at least three of the same shape on my pages to make it feel right—but then there might not be enough space (I had a lot of big, round die-cuts). So what to do with them? That’s when I decided to use a lot of them on one single layout and make them the star of my page! For this technique, use a very pigmented marker. As always, I used my Tombow Dual Brush Pens to letter the word. I LOVE a rainbow word but you can use fewer colors. I suggest at least three colors. You're going to work with each letter individually. Be generous with the water. The more water you use, the more the color will travel. Use the color wheel as inspiration. Sometimes it's fun to take things a bit literal and use tools to inspire you to create! 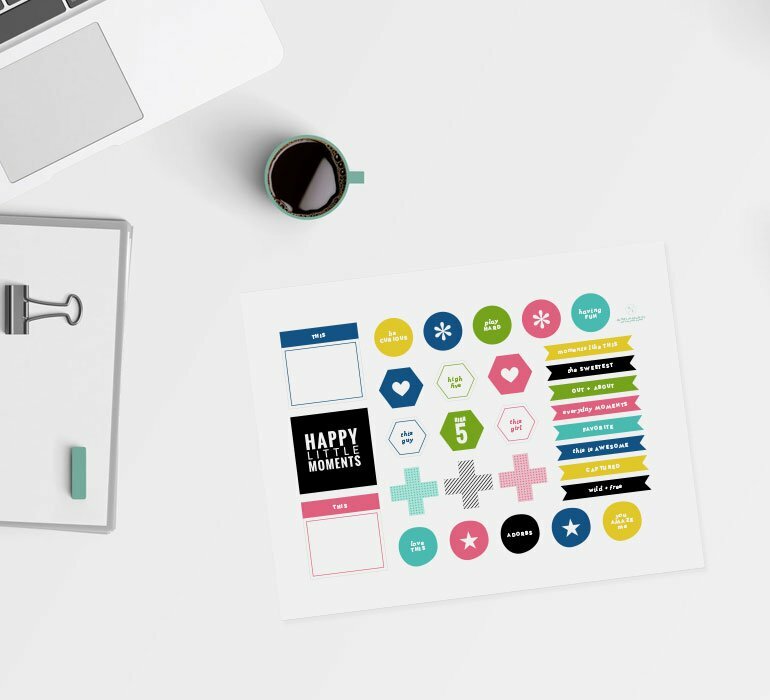 I did that with this layout all about hue, which was inspired by The Essential Color Wheel Companion lying on my desk while I began a scrapbooking session. 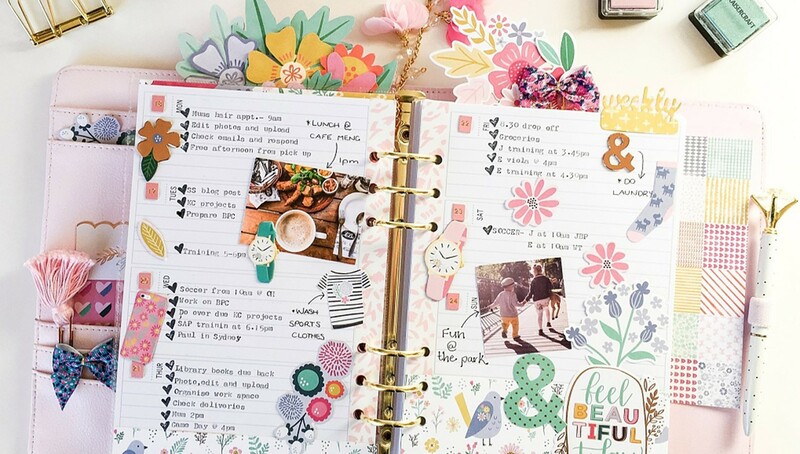 To create this page, I simply grabbed my boxes full of scrap patterned paper and got to work punching out the matching colors on the color wheel. Make a rainbow with fringe. Color your card in ROYGBIV order. When using rainbow colors, it's important to leave plenty of white space on your project to make sure your card won't end up looking too busy. Rainbow colors are probably the easiest colors to work with since each color can pretty much be found in every ink, marker, embellishment, or paper collection. Combine watercolors and colored pencils for a rainbow mixed media background. Any type of resist technique, be it embossing powder, gel medium, or colored pencils creates an interesting look. In this case, the pencils, because they are oil based, resist the distress stains. You can use any type of watercolors instead of the Distress Stains. You can also use any other mist you have, like Mr. Huey's, Ranger's Dylusions, Heidi Swapp's Color Shine just to name a few. You can also use wax based pencils (like Prismacolor) as they will resist watercolors too. Carry the rainbow across your pocket page spread. When thinking about rainbow color schemes, Project Life® may not immediately come to mind. 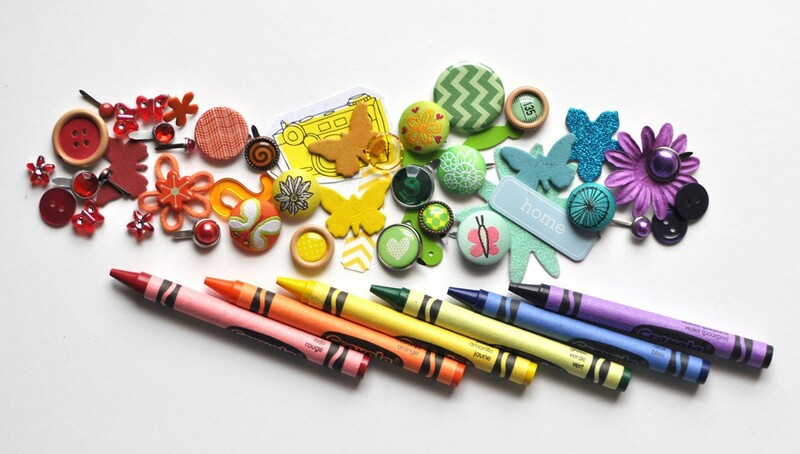 But the divided pockets are perfect for clustering similar colors together to create a rainbow effect. Add pops of black and white to your rainbow. It’s fascinating to note that the rainbow organizes the colors from warm to cool, and when you work with color like this, it creates a fun and happy work of art. Adding either black or white to the rainbow colors will make it pop. One of my favorite things to do is to organize colors according to the rainbow, and the Color Theory paints make it easy as they're numbered from 1 to 12. Doodle a rainbow of flowers. Of all the happy art we create, watercolor is the most fluid one. It's subtle yet dramatic. The colors flow to create something a little out of your control; you can’t go back and erase it. And at some point, you just have to let go a bit and let the colors do the talking. I guess that's also why it's very satisfying to create. Create a pop-up background in ROYGBIV order. Dimension really takes a card to another level. Creating an entire background of popped up dimension can really give your card that WOW factor. Are you ready to add a rainbow of color to your next project? Get started today in these ten fun classes! Remember, as a member of Big Picture Classes, you get access to our entire library of classes. Sign up now and start exploring! Get Creative with New Classes!